I won’t lie, hair and makeup is one of the last vendors usually to be booked for a wedding day. Most of the time brides (and other vendors) assume you can book great hair and makeup artists 3-4 months out. Whoever told you this was lying. If you think about it, hair and makeup starts of your wedding day and will be reflected in all of your photos, so you want to look and feel your best. It can be a lot of pressure, but this is why I advocate doing a hair and makeup trial to ensure that you have the look and experience you are going for on your wedding day. Though I am also an advocate for maximizing time (since we are all so busy, especially engaged couples), so why not do your hair and makeup trial before your engagement shoot? 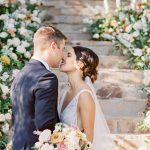 Wedding Hair and Makeup Trial Before Your Engagement Shoot? I am one of the first to recommend doing your trial before your engagement shoot. Why? Well to start you are killing two birds with one stone; getting your trial done, as well as look your best for your photoshoot. Plus you can see how the hair and makeup will look in photos and can make any tweaks for the day of. Keep in mind as well that engagement shoots are usually a few hours long so you can see how the hair and/or makeup holds up, which is vital for the wedding day as well. You want it to last, so making sure you have a quality hair and makeup artist that knows what they are doing is important. Remember you get what you pay for, and if you are paying a good portion of your budget to photography, you should look your best so you love your photos and not hate how you look after it’s all said and done. How long should I allot for the trial? Usually for hair and makeup I would allot 2-2.5 hours, as this will allow you time to get to know the artist, as well as try a few styles to see what you like. It could take less, but it’s best to plan for more just in case. Don’t need to feel rushed. What if I don’t want the same look for my wedding day as I do my engagement photos? Unless you are doing a very structured type of look, it should be easy for the hair and makeup artist to change the look. Simply ask them prior if they can do the look for your wedding day and then adjust it slightly for your engagement photos. Most of the time they understand as you want to surprise your fiancee or just don’t want to have the same look. If this is the case, then absolutely allot 2-2.5 hours for the trial. How do I prep for the trial? The best way to come to your trial is with one day “dirty” (meaning dry) hair and a clean face. The reasoning for one day dry hair is that your body will have its natural oils and it will be easier to style and hold the style. Come with a clean face (moisturizer is fine) so that the artists can apply any primer, etc. I am an advocate for maximizing time, but ultimately it’s what feels best to you. If you are worried about not liking the look and feeling uncomfortable during your engagement shoot, then don’t do it. It’s your day (both wedding and engagement shoot), so do what feels best to you. 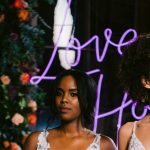 These are just some tips in case you don’t have a lot of time and have thought about combining your hair and makeup trial with your engagement shoot.